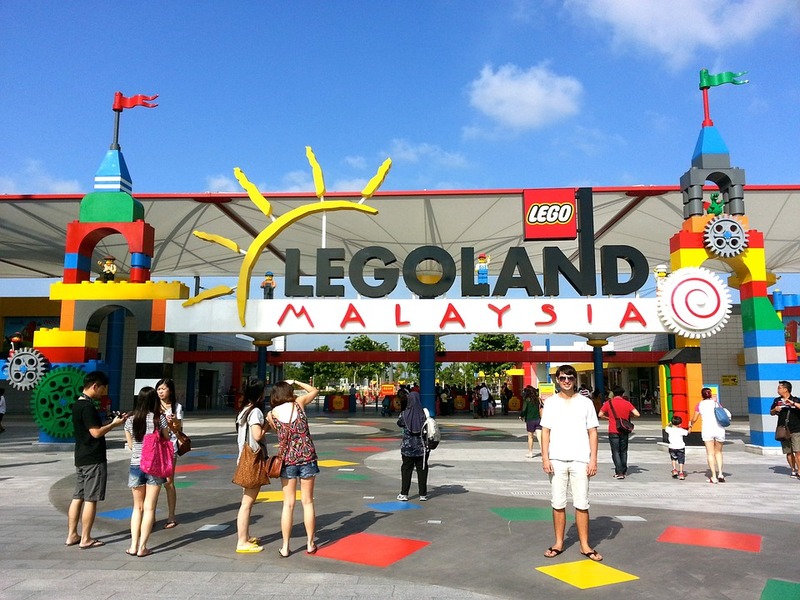 Holidaying with family in Malaysia and searching for the perfect place to have some fun? Well. Legoland Water Park is the place for you. Here are some of the amazing rides that will give you and your family the thrills and spills you’ve been looking for. If you are at the park with family and friends, the Brick Blaster is a ride you cannot miss! Take a group or solo option to ride a tube that sways from side to side as you slide down towards the pool at the end. Definitely, a ride that will keep you thrilled! However, guests under 107cm will not be allowed to take the ride. It’s a perfect start to your family holiday in Johor Bahru. The Build-a-boat activity is where imagination comes to life when kids build their own lego boats. The bits and pieces of lego are provided for kids to design and build their own boats which will then race against each other on a river to see which boat will last until the finish line. It’s all fun and splashes at the Wave Racer ride where you take a seat on the amazing racers and spin about in the water! Be mindful of the water bombs that occasionally explode if you knock on them. The ride is for those who are 6 years and above. Those below 8 years have to be accompanied by an adult. Ride a lego boat that is all powered up and put your navigation skills to the test. Ride the boat through a calm river till you reach the end. The ride is for those above 1 year, for those who are 6 and below, an adult will need to accompany them. Those who are 7 and above can ride alone. Be tossed about 15 feet into the air in a scarab beetle ride that will take you to a whole new world. experience the world of Egypt with its sights and special sound effects. If you are staying in a hotel like Berjaya Waterfront Hotel, do head over for the time of your life! Previous Post Why the London Eye Was Built – The millennial monument!